Slurppppp! 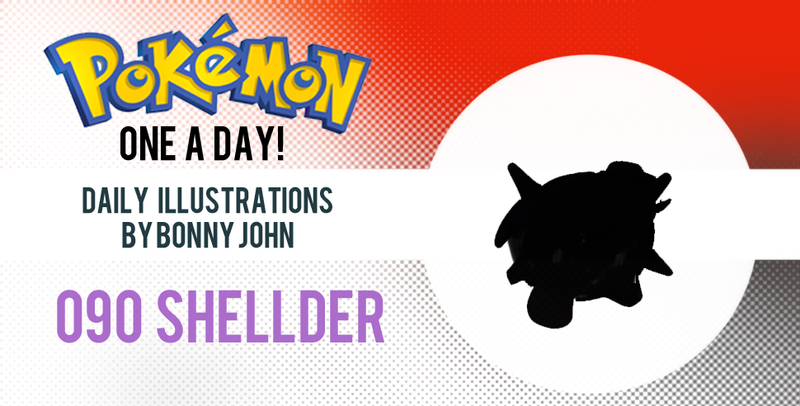 Shellder, Pokemon One a Day! 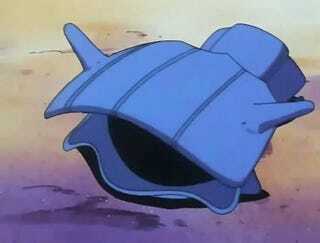 Shellder isn't the strongest Pokemon out there...nor is he that cool...or cute...He's just kinda there. Granted, he is a stage one Pokemon but I like Clamperl better in terms of the whole pearl inside a clam thing. Either way, Shellder just doesn't have a lot of potential to be drawn in interesting poses or angles. I had to settle for something basic, so today almost feels like a throwaway. Except, I can't ever treat any of these illustrations as such. It would be a sign of defeat, and I hate losing...especially at my own challenge. Thus I tried to illustrate Shellder out to a very clean and polished look, almost as if it were a cel from a high quality anime feature. I changed up the design of the shell to keep it simple and have nice, curved edges. Once everything was established and blocked in with color, I used highlight tools to really posterize the edges so they would disappear into the surrounding light source. I used burn tools to darken the underside, and duplicated the Shellder to create a separate copy that was dipped in noise particles to texturize the shell. I added lines on the shells to give it a weathered feel, and it almost makes it look like wood for better or worse. I really like how that aspect came out. As for the other details, it was all very straight forward. I wasn't sure if I should give the eyes any highlights due to the light source and the shell casting a shadow, but I went for it anyway. So there you go! Not much else to say for a very plan and simple Pokemon design, so I'll take my leave now. Thanks for viewing; hope you had a great weekend and please look forward to this week's Pokemon. Starting from Grimer 2 days before this one and following through to the next few critters, the color purple will be on full display! Fans of the color should be in for a treat.